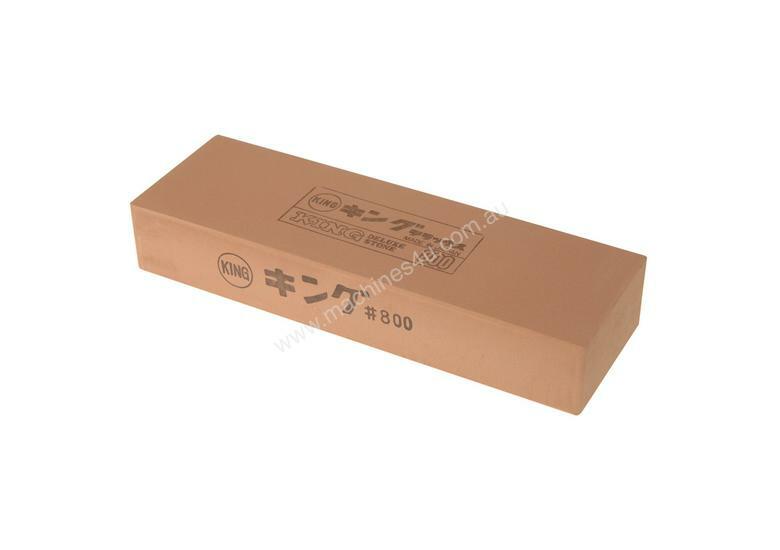 Deluxe general purpose stone in 800 grit for sharpening. Once the bevel is achieved, or the notches have been removed, the 800 grit stone is then used for general purpose before moving onto a finer grit stone. Nominal size 207 x 66mm. Note: This stone is for carbon steel blades only. For use with water only. DMT 6 Diamond Whetstone - Extra Fine"
DMT 8 Diamond Whetstone - Coarse"
DMT 6 Diamond Whetstone - Coarse"
DMT 6 Diamond Whetstone - Extra Coarse"
DMT 6 Diamond Whetstone - Fine"